Over the course of their lives, almost one-third of Floridians will be involved in an accident where the at-fault driver has been drinking. Last year, over 10,000 lives were lost in alcohol-related wrecks. A disproportionate number of these were motorcyclists. That is why I have dedicated so much of my time to learn the proper ways to prosecute these cases. DUI personal injury claims are some of the most complicated cases to handle for some very simple reasons. Allow me to explain. The State of Florida allows punitive damages to be levied in cases where it can be shown that someone knowingly did something intentional or reckless without any regard for the consequences of their actions. Punitive damages, also called exemplary damages, are designed to make society safer by punishing wrongdoers for their actions and to act as a deterrent to others by making an example of the offender. They are also designed to compensate the victims for the actions of the lawbreaker. In a criminal court, a drunk driver would be punished by being sent to jail, but the victim receives nothing. Exemplary damages are the court system’s way of balancing the scales. Punitive damages are separate from and on top of any compensatory damages you or your survivors might receive, such as medical expenses, loss of income or wrongful death. They are also handled in a separate court proceeding from the rest of the lawsuit. It works like this: After the jury has rendered its verdict on the compensatory portion of the suit and damages have been determined, the judge will hold a second mini-trial with the same jury. This time the question isn’t a matter of responsibility. That has already been decided. The question now is whether the jury feels the at-fault person should be punished for their actions. The judge will instruct the jury that they should reward punitive damages if they feel there is clear and convincing evidence that the at-fault, drinking driver acted intentionally or is guilty of gross misconduct that was a major contributing cause of the damages you suffered. Clear and convincing evidence means it is more compelling or convincing than that needed to just rule in your favor. Intentional misconduct indicates that the defendant knew their actions were wrong and had the potential to cause damage. Gross misconduct is behavior so reckless that it demonstrates a total disregard for or indifference to the life, safety or rights of others. There are a number of things the jury is asked to consider when deciding on the amount of the punitive damages to be awarded. Some of these are the nature of the action, the reason behind it and whether it was intentional. The amount should be large enough to act as a deterrent to others but not so large that it will financially cripple the defendant. The biggest problem with these cases is that insurance companies are very good at preventing evidence of drunk driving from ever being brought to the jury’s attention. As is the norm, this is to protect their own interests. They are not required to pay punitive damages, but they are legally obligated to do all they can to prevent their client from paying them. They are required to offer the full policy limits in exchange for a full release of the insured, but they don’t always do so. Many times they will take their chances in court and then file motion after motion to have any discussion of alcohol or intoxication excluded based on it prejudicing the jury, causing an angry reaction from the public or damaging the insured’s reputation. Unfortunately, many times these motions are granted, and then it comes down to the simpler question of liability, which they will use their usual bag of tricks to deny. 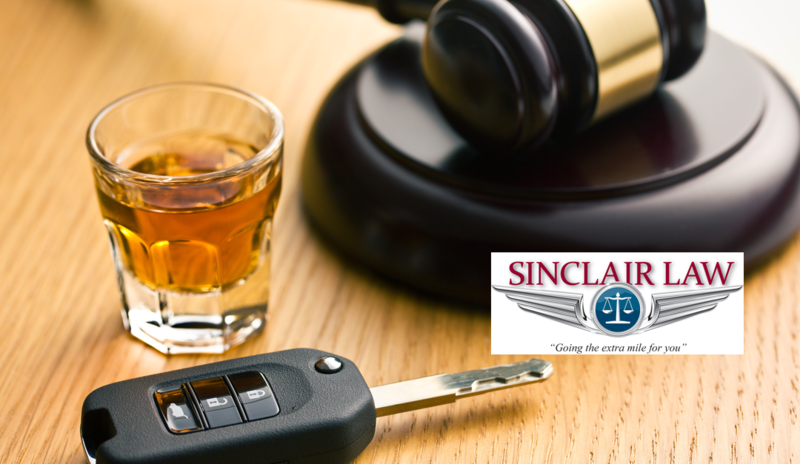 Drunk driving injury cases are very difficult to win, but they can be won. The first thing you are going to need is a Civil Trial Lawyer on your side to protect your rights. If you are in the Melbourne, Florida area and have suffered at the hands of an intoxicated driver, contact my offices today for a free consultation. I’m Brad Sinclair of Sinclair Law, your Florida motorcycle injury lawyer. We go the extra mile for you.